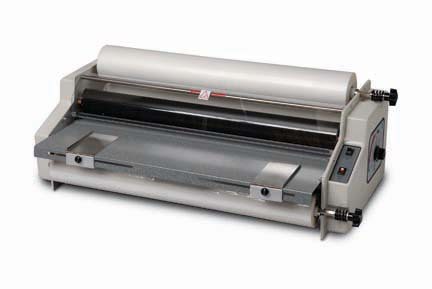 25" Ledco Educator Heated School Roll Laminator in your choice of 110 or 220 volt models, and now with 2 year warranty. The Ledco 25" Educator school laminator's ease of operation and factory pre-settings for speed and roller pressure make it perfect for environments where more than one operator will be using the machine. This has low maintenance with 25 years of proven reliabilty.